If you haven’t seen the movie, you should. Not only for the superb acting and compelling story, but for the lessons it holds for local governments and the elected officials who govern them. You see, Hidden Figures is really the story of what happens when a talent pool is artificial, meaning that it does not include all available talent because, by design or accident, it excludes women and people of color. 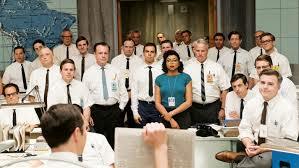 Local government management today has a hidden figures problem. In North Carolina, women comprise 21 percent of county managers and 20 percent of city managers. And while we lack an official tally for managers of color (UNC/ELGL Diversity Dashboard Project), a stroll through our state city-county manager’s conference suggests we need more racial diversity in the leadership ranks. Which means that our communities are not pulling from the best talent pool. Talent pools can be artificial for a number of reasons, one of which pertains to our mental images of what leaders should look like. Research tells us that people generally envision slightly older tall white men when they picture a leader. This automatic thinking becomes problematic when we evaluate potential candidates for leadership positions. The slightly older taller white males will have an automatic edge, despite the fact that the better leader – the one who would do great things for the community – may not be slightly older or white or male. She may be a 30-year-old African American woman; he may be a 35-year-old Latino man. But doing so takes intentionality. It takes women and people of color willing to step up to the plate and pursue the top positions. It takes research and education on diversity dynamics in local government to develop strategies for moving the field forward. And it takes elected officials who realize that there are Hidden Figures in local government, people who will make exceptional leaders regardless of their skin color or gender. This is a really interesting piece. Two years ago I served as a hiring agent within my organization. Prior to the start of the process, I had the opportunity to provide some guidance to the hiring committee. Looking back, my standard guidance was primarily focused on the technical aspects of hiring actions such as following the process as outlined by OPM. I never mentioned anything about the importance of diversity. Why? Perhaps I placed too much confidence in the process and did not account for the power of bias within the organization (including me). But talking to a hiring committee about diversity is not enough. It comes down to the day-to-day example leaders set and, as you observed, making the development of a talented and diverse workforce a central plan in organizational strategy. Thanks for the movie recommendation! !